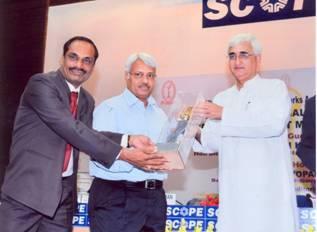 UGVCL bags the ‘Good Performance Award’ – under the category of Public - Service Sector – Large for EXCELLENCE IN COST MANAGEMENT-2009 from ICWAI. 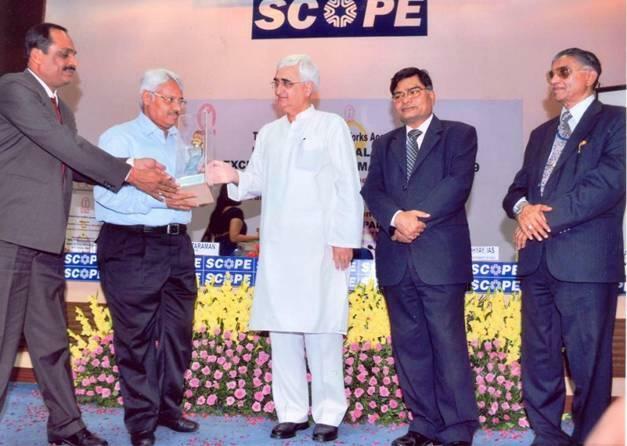 The Award distribution ceremony was held on Thursday, the 8th July, 2010 at New Delhi. 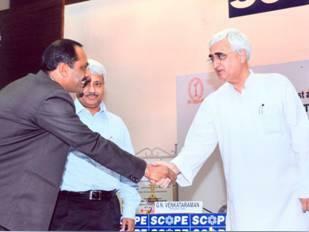 Mr. Salman Khurshid, (center) Hon’ble Union Minister of State for Corporate Affairs, presented the Award. Mr. A. K. Verma, IFS, (left) Managing Director and Mr. R. B. Kothari, (extreme left) General Manager (Finance) of UGVCL received the Award. Mr. R. Bandopadhyay, IAS, (right) Secretary, MCA and Mr. G. N. Venkataraman, (extreme right) President of the ICWAI graced the occasion. The Institute of Cost and Works Accountants of India (ICWAI) has been in the forefront as an enabler for strengthening the existing cost management practices and propagating new tools and techniques in Cost Management. Aiming towards this, ICWAI has instituted an “ICWAI NATIONAL AWARD FOR EXCELLENCE IN COST MANAGEMENT”. The methodology to decide the winner of award is based on the questionnaire designed to obtain information on Cost Management practices. On the basis of questionnaire submitted, the Screening Committee comprising of various professionals short-lists the companies for award on the basis of set-out standards. After the short-listing is done by Screening Committee, the final recipients of awards are decided by Jury headed by Mr. Justice J.S. Verma, Former Chief Justice of India. The Screening Committee has recognized UGVCL being forefront in applying various cost reduction techniques like Variance Analysis, Budgeting, Inventory Control techniques, Fund Management, Arrears Reduction, Supply Chain Management Concept etc. The results for the said Award were declared in the Month of June, 2010 and the Jury has declared Good Performance AWARD for UGVCL under the category of Public-Service Sector - Large. The other awardees are LG Electronics (India) Pvt. Ltd., Whirlpool of India Ltd., Shree Cement Ltd., ACC Ltd., Subros Ltd., Everest Industries Ltd., Reliance Infrastructure Ltd., L&T Chiyoda Ltd. from Private Sector and BHEL, GAIL (India) Ltd., Rashtriya Chemicals and Fertilizers Ltd. from Public Sector. In the category of Public - Service Sector - Large, PGVCL and UGVCL, State PSUs of Gujarat in Power Sector are selected and awarded first Prize and Good Performance Award respectively. No other company from either Power Sector or other States is selected in this category.